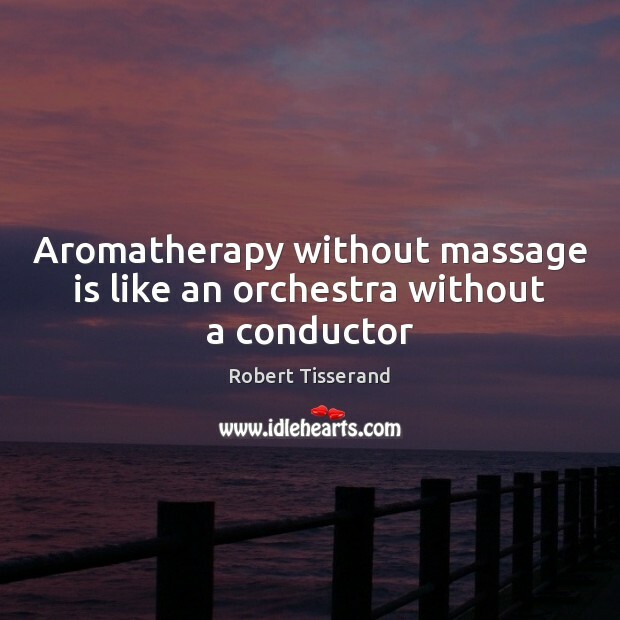 Quotations about Aromatherapy. Quotes to stimulate mind and drive action! Use the words and quote images to feed your brain inspiring things daily! 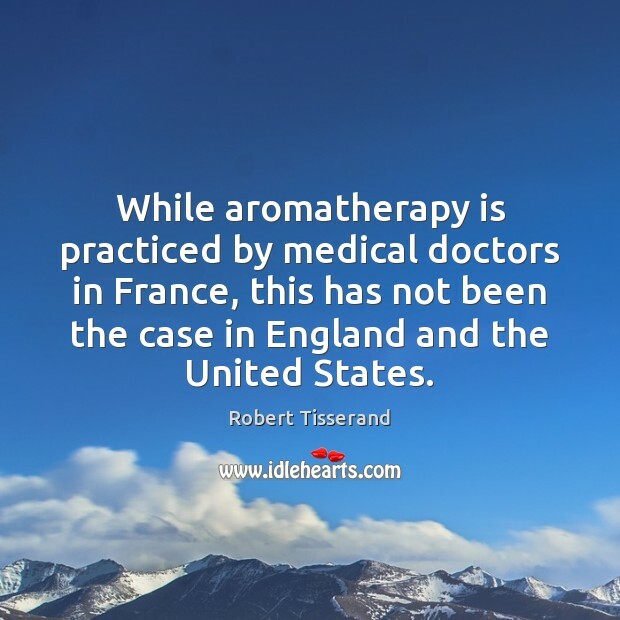 While aromatherapy is practiced by medical doctors in France, this has not been the case in England and the United States. 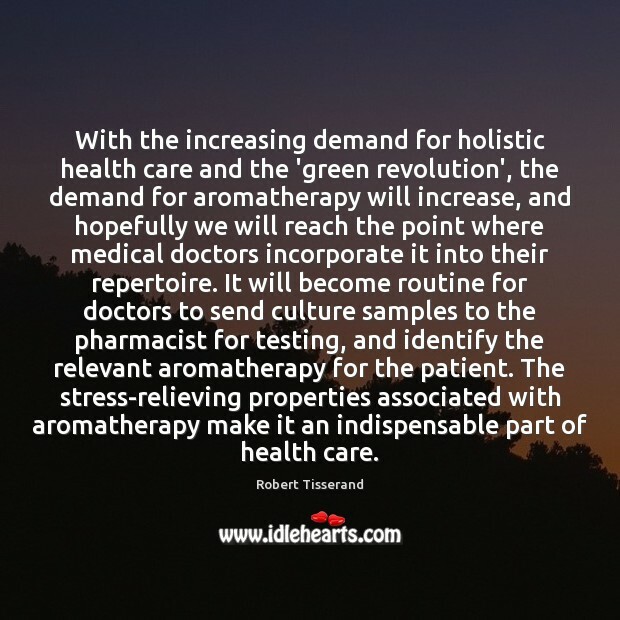 With the increasing demand for holistic health care and the 'green revolution', the demand for aromatherapy will increase, and hopefully we will reach the point where medical doctors incorporate it into their repertoire. 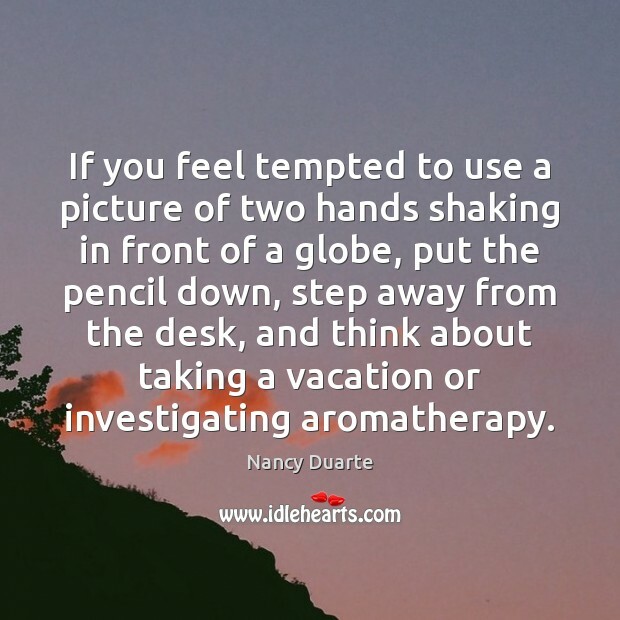 It will become routine for doctors to send culture samples to the pharmacist for testing, and identify the relevant aromatherapy for the patient. 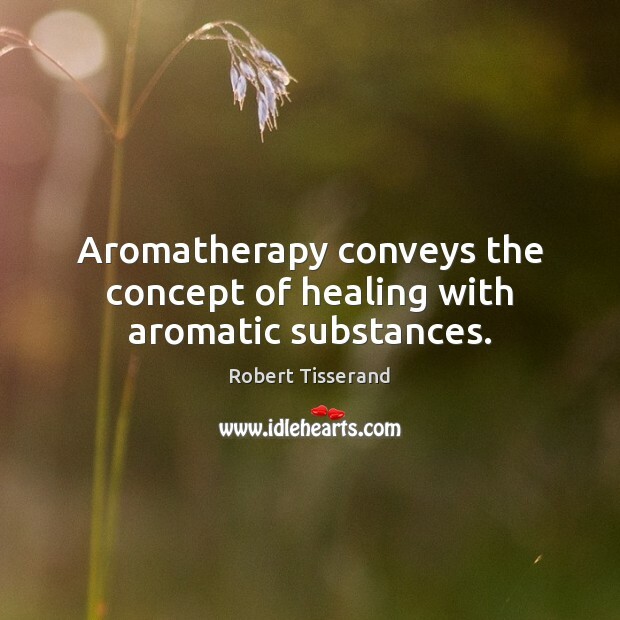 The stress-relieving properties associated with aromatherapy make it an indispensable part of health care. 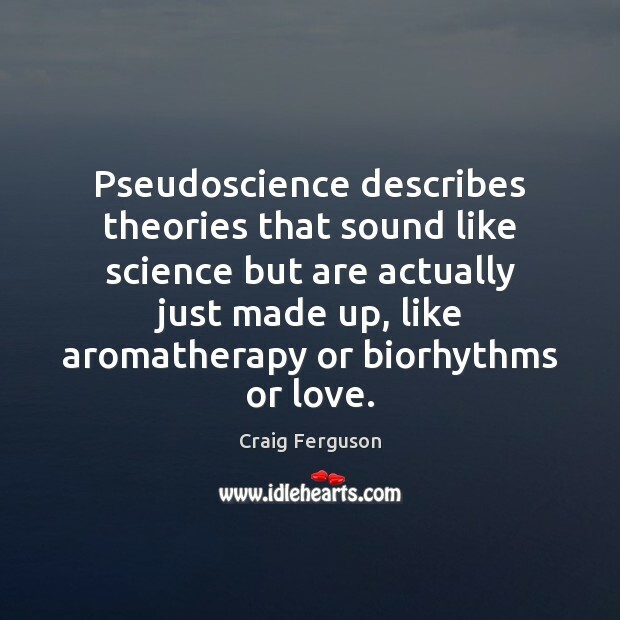 Pseudoscience describes theories that sound like science but are actually just made up, like aromatherapy or biorhythms or love. 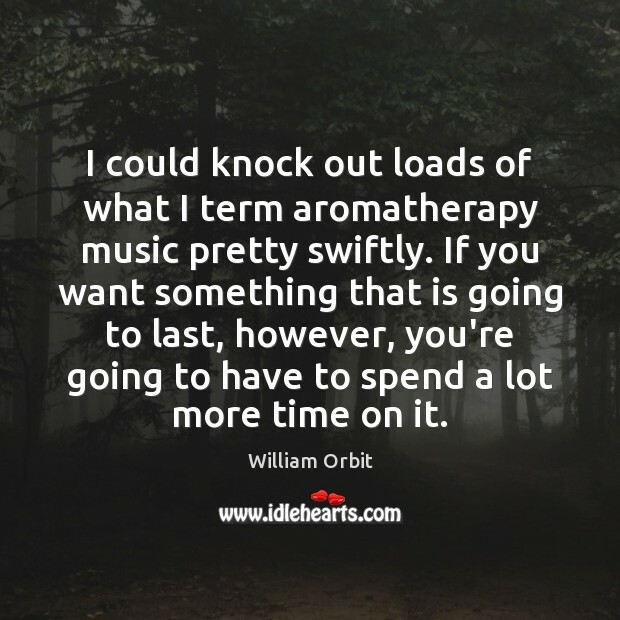 I could knock out loads of what I term aromatherapy music pretty swiftly. If you want something that is going to last, however, you're going to have to spend a lot more time on it. 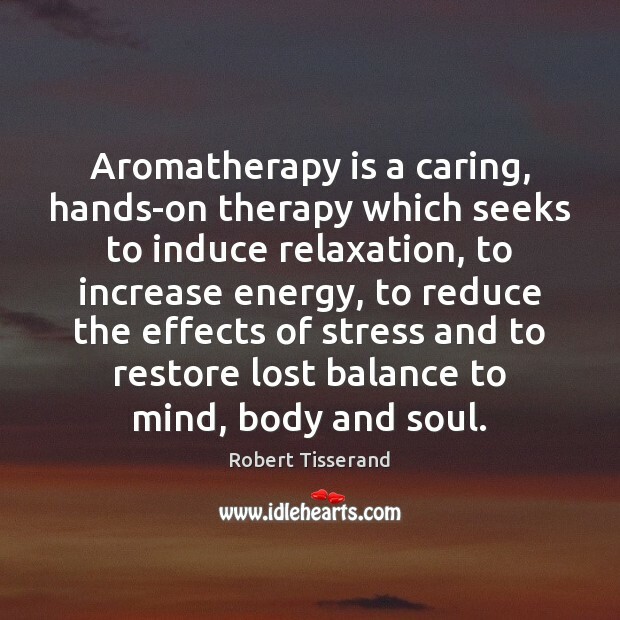 Aromatherapy is a caring, hands-on therapy which seeks to induce relaxation, to increase energy, to reduce the effects of stress and to restore lost balance to mind, body and soul. Aromatherapy conveys the concept of healing with aromatic substances. 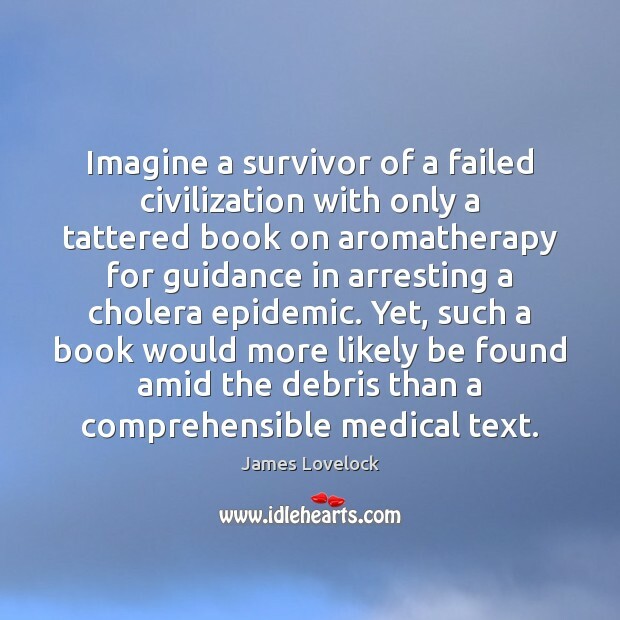 Oils of cinnamon and eucalyptus are as powerful against some microorganisms as conventional antibiotics, and are especially effective against flus. 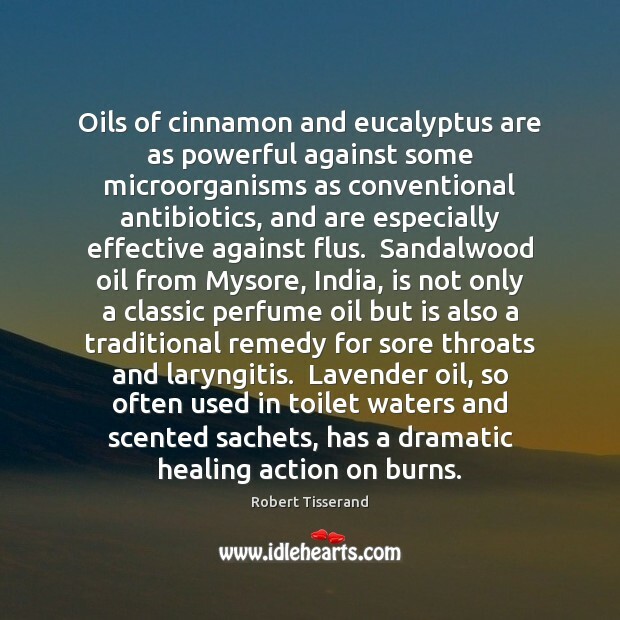 Sandalwood oil from Mysore, India, is not only a classic perfume oil but is also a traditional remedy for sore throats and laryngitis. Lavender oil, so often used in toilet waters and scented sachets, has a dramatic healing action on burns. Aromatherapy is extremely useful. 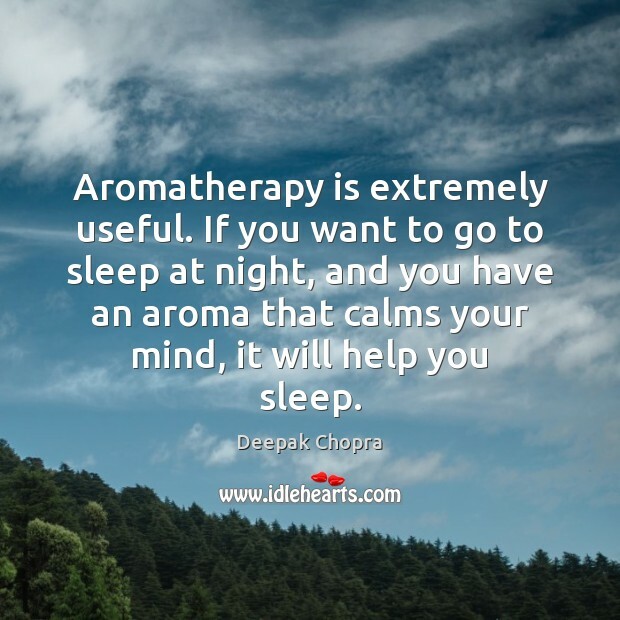 If you want to go to sleep at night, and you have an aroma that calms your mind, it will help you sleep. There's something spiritual in hard work. 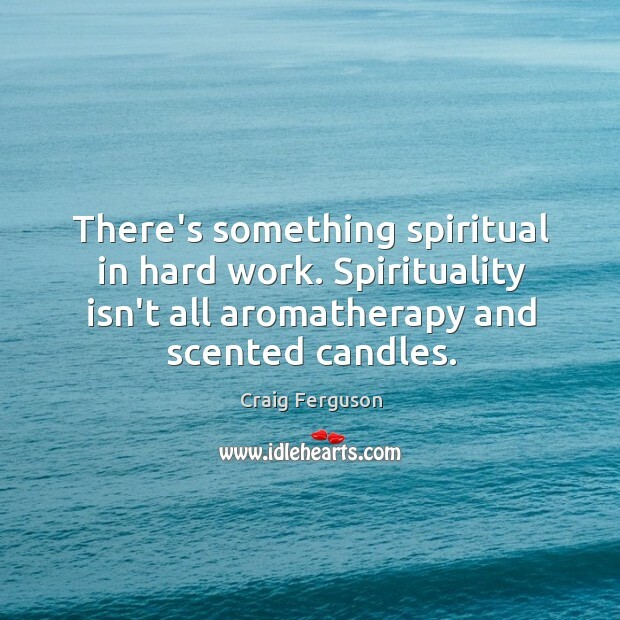 Spirituality isn't all aromatherapy and scented candles.